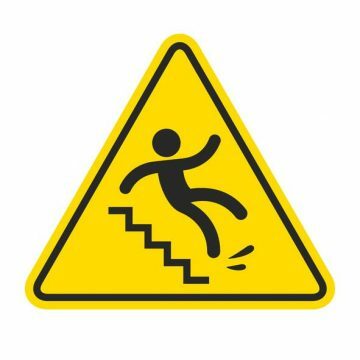 Slip risk management is a perennial issue in the health and safety industry. 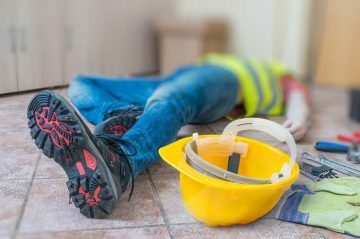 We asked Christian Harris from Slip Safety Services, one of our trusted partners, to explain how businesses can protect themselves from slip risks. Slips by employees and business visitors/the general public account for around a third of accidents at work and 21% of liability claims. With consequent employer costs running at over £500million annually, the risks are undeniably high. 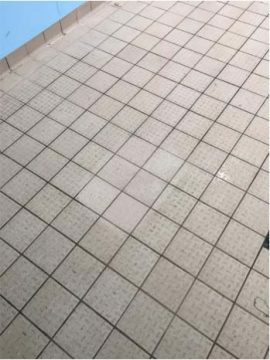 Type of environment: usage and environment play a large part when assessing risk – a poolside floor has a higher risk element of contamination and slip than an office corridor. Type of floor: smooth floors are traditionally seen as higher risk, though some people assume that textured or profile floors are ant-slip, which isn’t always the case, and can lead to a greater risk of contamination build up and affect friction performance. Type of contamination: certain contamination is more likely to lead to greater slip risk e.g. grease or body fats. 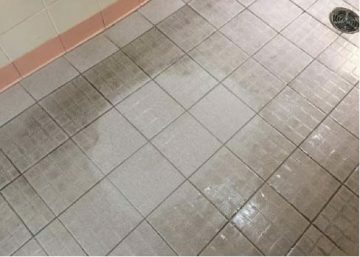 Cleaning and maintenance: the frequency and method of floor maintenance are also important: mopping a floor every day versus scrubbing and rinsing it every three days – which is going to give you the best sustained slip resistance? When it comes to testing it is always best to use a professional company to undertake a full slip safety survey (utilising the industry recognised pendulum testing method, as used by Health and Safety Executive (HSE) & UK Slip Resistance Group (UKSRG). How frequently should you be testing? There is no right or wrong answer to this question. Most importantly, the results of prior testing should be considered: if you have tested a floor several times and the ‘as found’ wet slip resistance is in the low slip potential category (PTV 36+) then your testing frequency can be pushed out. If, however, you last tested the floor and it had high slip potential and you’ve re-tested it and it still does, you should probably be monitoring this more frequently. But more importantly, taking some action to improve the slip resistance too. The recommendations would then come from the risk assessment as to how often to monitor the risk. For instance, a hotel bathroom or wet room would be recommended for a more frequent risk assessment than an airport lounge. It is recommended that you test as often as necessary, dependent on the type of risk and the results of your risk assessment. However, on average in an office environment we suggest you should be testing around once every 6-months initially, to get a benchmark and start to monitor any trends. The average cost of a slip risk test is around £500 – that compares to the potential £000,000s a slip incident could end up costing a businesses through claims, fines and loss of working time. What difference can treatment make to floors? These images show how deep cleaning and treatment can really bring the floor back to life and present a new, more hygienic looking surface free from residue build up, in addition to a slip risk of less than 1 in 1,000,000 rather than 1 in 2 before treatment. How about a FREE Pendulum test? Slip Safety Services are offering a FREE pendulum slip test to the first 5 enquiries that contact the team through the link below, or on 0203 3555018 quoting ‘System-Concepts’ – don’t miss your chance!